Had to force myself out last night in the extreme cold of Paris, with the lingering cold in my head, but force myself I did, since I knew it was the once-a-month Kararocké at the Bus Palladium. I said to myself that there was little chance I’d sing, thanks mostly to my cold. But I didn’t really want to miss the Kararocké and see what I might discover this time – there’s always something new to discover…singers, an approach to the show, craziness. Whatever. So I was really, really saying to myself in the early stages of the show, “Crap, what the hell is this? This is NOT so cool as usual.” And then, suddenly, like some kind of electric shock suddenly shot through the Bus Palladium, the Kararocké woke up and the room filled with life, and discoveries. The first electric shock came in the form of a Filipino singer of a certain age, who called himself either “Bond Jovi,” or “Bong Jovi.” He went up and took his time to get ready, then he went absolutely nuts on a Queen song, and he drove the crowd into frenetic madness at the joy of the situation. So crazy went the crowd, in fact, that for the first time in my experience, I watched them chant for an encore from Bong Jovi. I managed to catch that on video, as well as his first song. Crazy stuff. I was pretty surprised when I discovered later in the day that this man’s face showed up on my Facebook this morning, and I realized that I had Mr. Bong Jovi – under his real name – as a friend on my Facebook, and that he had recently asked me where he could find a place to sing in Paris!!!!! Well, that was the first electric shock. The second was another guy on my Facebook, but who actually is a lot closer than just a Facebook buddy. Nicolas Ullmann, the MC, announced that Félix Beguin would make his singing debut. Félix has often played lead guitar at the Kararocké, but more importantly for me, he and I have played together live and in some of my recordings, for the last three years. I love Félix’s guitar playing, and lately he had sent me some really great recordings he had done of him singing nice soft stuff like Paul Simon. And he had actually played some nice quiet soft stuff that he sang at my brunch at the Mecano bar last year, where he had, if I recall that particular day, a fabulous audience of three…. So I, and just about everyone else who knows him, was last night shocked to find him rock the Bus right down to the ground with his interpretation of the French rock song Antisocial from the band Trust. In short, Félix went crazy, and he injected the room with real rock ‘n roll for the first time last night. And his showmanship was sublime as well, as he got the audience to participate. I’m wondering how much longer I will have Félix playing lead for me before he ends up in too high demand elsewhere. His regular group, the Burnin’ Jacks is moving on up, but Félix has recently also let me hear some tracks from a new band he is putting together that is…burnin’ like hell too…. There were some other cool acts as well; I loved the duo with the singer guy and his wicked woman bass player doing a Stones number. It was actually the day before that – Friday – where I had some equally strong emotions as I returned to play in the open mic of the Truskel bar for the first time in more than two years, I think. The Truskel was the last place that Earle’s open mic was a real success, and it was rockin’. (I played there a few times with Félix, in fact.) In recent months the Truskel decided to relaunch an open mic, although only once a month, and on Fridays, not Mondays. I finally got the chance to go on Friday, and it was amazing to play on that stage again. And I was lucky there were not that many bands, as the open mic, in fact, lasts only from 8 PM to just after 10 PM, and I was late in arriving. But I managed to play around five or six songs, and I even had one of the other musicians – from Watermelon Man – come up and sing with me on “What’s Up!” I had wondered how the Truskel could do an open mic on a Friday, as this joint is so full on Fridays you can barely get in. But I realized that in running the open mic early, they are getting more people in earlier, as most of the business starts around 10 PM or later, and goes all night. Worth the visit! But to come full circle, I must say that I had to force myself out of the house on both nights because of the cold and the cold (head cold), and on each occasion, I found myself returning home absolutely delighted at having forced myself. And there’s a lesson there somewhere…. 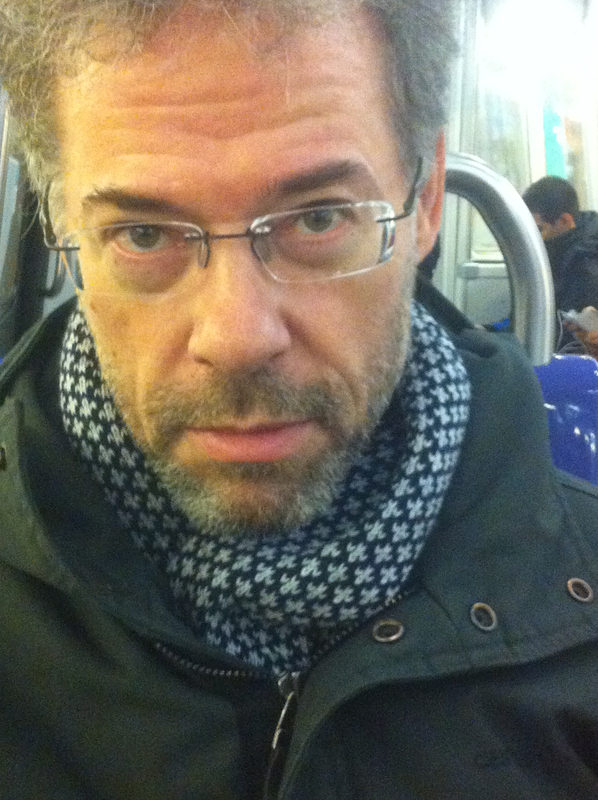 but crap, it’s cold again tonight…..
PS, I almost forgot the nice little concert at the Bus Palladium by Gaspard Royant. I enjoyed his story about a crazy murder that happened near his childhood home and about which he wrote a song, one of the videos herewith….